Halloween Time is upon us, so we've scared up some new snacks and sweets at Disneyland Resort, available now through November 2. Being the perpetual snacker that I am, I’m excited to give you a taste of what’s new. Halloween Time is upon us, so we’ve scared up some new snacks and sweets at Disneyland Resort, available now through November 2. Being the perpetual snacker that I am, I’m excited to give you a taste of what’s new. A short walk away in New Orleans Square, you’ll find piping hot Banana Fritters at Royal Street Veranda. 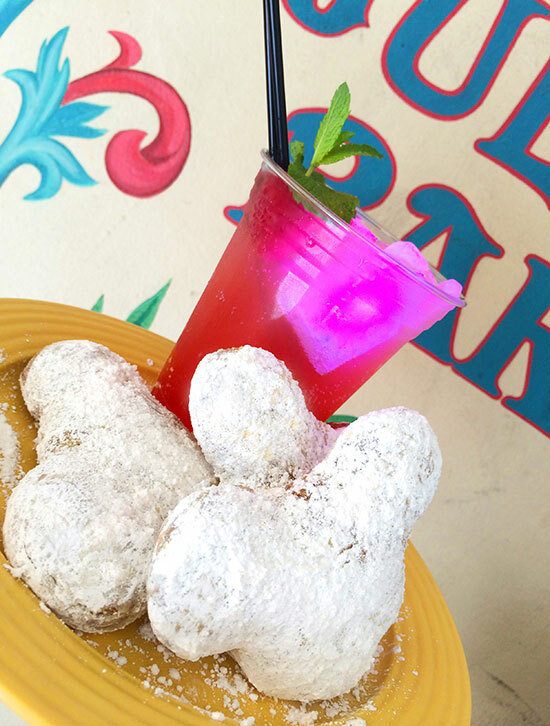 Then, stroll on over to the Mint Julep Bar and quench your thirst with the sweet Raspberry Magnolia Lemonade. While you’re there, don’t forget to order up some beignets. These must-have Disneyland favorites are made with pumpkin for the season and are to die for. Tip: Pumpkin Beignets are also available at Cafe Orleans. 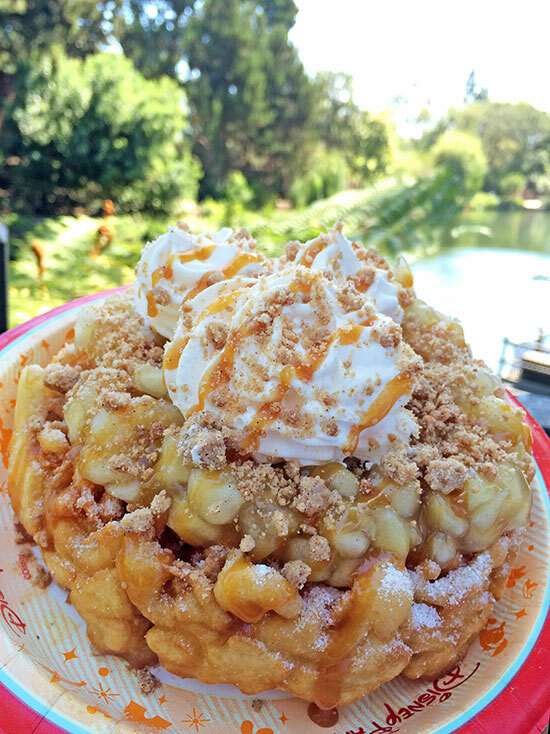 During a recent trip into the park, fellow Disney Parks Blog authors and friends Michelle Harker and Tyler Slater sampled and raved about the Apple Pie Funnel Cake from Hungry Bear Restaurant in Critter Country, a tasty twist on an American classic. At Tomorrowland Terrace, celebrate back-to-school season with Monster’s University! Show your Monster’s U pride with French Fries covered in Parmesan Ranch ‘Ooze’ and a Mike Wazowski Crispy Treat. Spending the day at Disney California Adventure park? 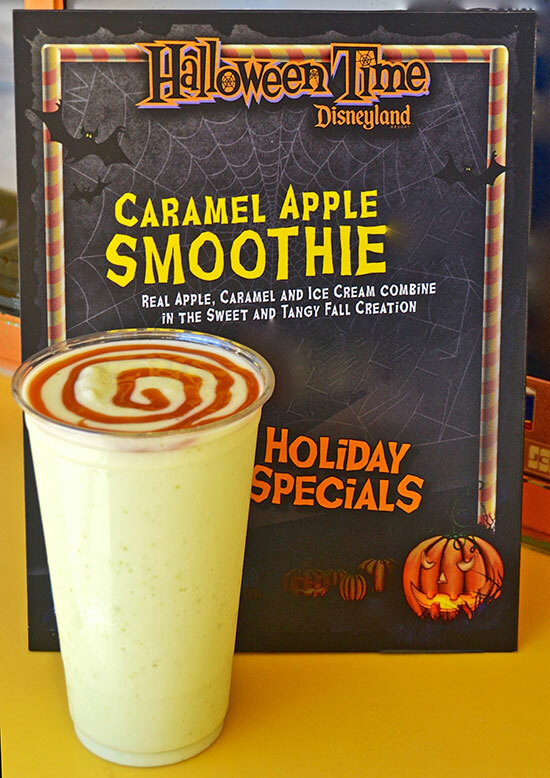 Be sure to try my top picks – the Caramel Apple Smoothie from Schmoozies and the Warm Apple Maple Cake from Taste Pilots’ Grill. As you can tell, I’m a sucker for anything apple. Still hungry for some sweet treats? 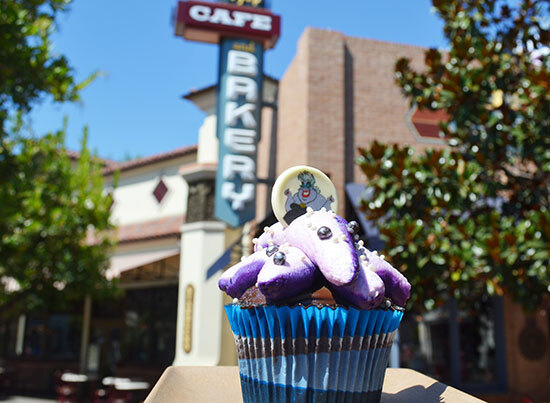 You’ll find a classic Mickey Pumpkin Cupcake at Disneyland park and Disneyland Hotel, while Disney California Adventure park pays homage to everyone’s favorite sea witch with an Ursula Cupcake. During your travels through the bakery, keep an eye out for a Vampire Mickey Bat Cookie. Don’t worry, this vampire can go into the sunlight. 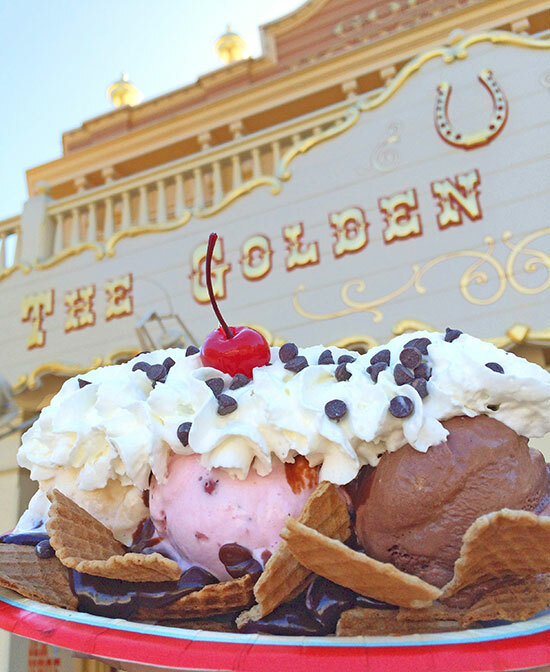 Have you tried any of the seasonal snacks at Disneyland Resort? What’s your favorite? Let me know in the comments below.